Welcome to the newest edition of the Indie Author Weekly Update. Let me point out David Gaughran’s post; he always writes awesome blog posts but this one in particular is revealing. With Instagram’s meteoric rise in popularity, be sure to check out the post with 22 Instagram hacks by Later. We are definitely into the hot days of summer. I can feel the perspiration traveling down my neck as I write this. Do what you can to stay cool! Welcome to the Indie Author Weekly Update. This week I had a difficult time trimming the list of best posts from the past week. What you’ll find here are numerous posts on social media and book marketing that are excellent. I’d especially like to point out the post by Belinda Griffin, which is extraordinary. The post on author collaboration is also important as is the post by Buffer on how to understand the Twitter timeline. I hope you enjoy these posts today. And, I hope you have a wonderful weekend. This week’s Indie Author Weekly Roundup is longer than most but that’s because it is completely chock-full with information you need at your disposal. I hope you enjoy this week’s selection! The next episode of Conversations with Frances features Jane Friedman. Jane is a columnist with Publishers Weekly, a professor with The Great Courses, and she’s been a keynote speaker at several writers’ conferences. She speaks regularly at industry events such as BookExpo America and Digital Book World, and has served on panels with the National Endowment for the Arts and the Creative Work Fund. On November 1 at 11 am Jane will share her thoughts on book launches. She’ll also be available to answer your questions. Join us on November 1st. I recently had the honor of interviewing Jane Friedman, the co-founder and publisher of Scratch, a magazine about writing and money, and former publisher of Writer’s Digest. She has more than 15 years of experience inside the book, magazine, and literary publishing industries. Below, Jane shares her views on author websites, blogging and marketing for writers. How important is blogging for a writer’s success? Blogging is mostly overrated as a book marketing and promotion tool, and few writers have the discipline or stamina to do it for the length of time required for it to pay off. However, a blog is probably the nonfiction author’s No. 1 content marketing tool for their career—a career that presumably involves not just selling books, but also getting new clients, securing speaking engagements, teaching online classes, delivering new products, and increasing their profile as an expert. Which leads to another question: What is “content marketing”? It’s where you use content to provide value, build your brand, and gain trust with your readership over time. A blog is a form of content marketing, and it’s generally the most well-recognized and understood by authors. What are the elements of a successful author website and blog? It should immediately communicate the author’s name and/or brand and give visitors a specific call to action within 5-7 seconds, before they leave the site. What’s a good call to action? It might be: read an excerpt of my book, listen to this interview with me at NPR, sign up for my newsletter, etc. Your call to action will change a few times a year, depending on your marketing initiatives or book releases. Make your menu or navigation exceptionally clear to first-time visitors. Where can they find information about your books? How can they look at your blog or its archive? How can they contact you? Know what people look for when they visit your site, then make it easy for them to access it. Writer’s Digest seems to have flourished – at least digitally – under your tenure. What do you attribute that success to, aside from hard work? In other words, what can authors learn from your example there? At Writer’s Digest, I focused on serving the audience authentically. If we did that well, the numbers and the sales followed. Do you recommend that writers participate in online forums, and if so, why? Writers usually have two goals with this type of activity: being part of a writing community and being in touch with readers. As far as the first goal, I recommend it insofar as it can be a valuable source of education, information, and encouragement. It might also have some marketing value, but you have to be careful that you’re not marketing to the echo chamber of the writing and publishing community, rather than building your readership of non-writers. For the second goal, participating in online forums where your readers are can be invaluable to understanding and anticipating their needs, serving them better, and—yes—marketing to them. What about blogging communities? Can they help authors grow their readership? I do like multi-contributor blogs, into which I categorize Writer Unboxed, where I occasionally write. How long have you been on Twitter? To what do you attribute your following? I’ve been on Twitter since May 2008. I got in early, and I religiously wrote a “Best Tweets for Writers” column from 2009–2011 that helped launch my following. For a while I was a recommended follow by Twitter in the Books category. The growth is not the same as it was while I was on that list, but now the account has its own momentum no matter what I do. I tell the full story here: How I Got a Six-Figure Twitter Following. Do you also post your own podcasts/videos/ or Google Hangouts? I’m not currently doing my own podcasts, video, or Google Hangouts, though I accept invites to be a guest, and try to make sure my audience is aware when and where they’re available. What role does social media play in helping authors’ books to succeed commercially? Asked another way, I find that authors can be reluctant to use social media. What is your advice in the face of their hesitation? 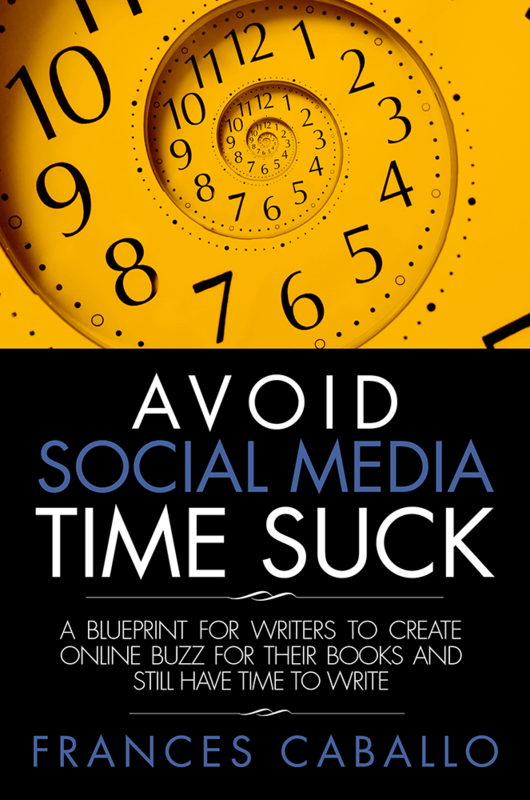 Social media helps authors in two primary ways. It helps you maintain connections with readers and nurture that relationship over many years. While you may use social media at times to directly sell, like during a book release, the key value is in being in touch or communicating with people who are fans your work. It helps you develop relationships with and reach influencers and others in your community who can help spread the word to their networks. The question to ask yourself is: How, when, and where do you best engage with readers and others in the industry? There is probably at least 1 social network where that opportunity is richest and most meaningful for you. Focus on that network and do it to the extent that it energizes or inspires you. Forget the social media networks that feel like drudgery—that defeats the whole point of being there. We know that email marketing is as important as social media. What advice do you give writers about growing their mailing list of avid and casual readers? Make the email newsletter sign up very clear on your website; ideally it should appear on every page. Give readers a specific idea of what they will receive when they sign up for your list. Then deliver what you promise. You once said in a blog post that writers must push their boundaries to incorporate new media into their marketing. (This isn’t a direct quote.) At what point do writers need to pull back so they don’t lose their focus on their writing goals? I love to suggest writers experiment and question the mediums they may always default to; on the other hand, there’s nothing wrong with pursuing what works—especially if it motivates you to produce more good work. You just need to be aware if you’re clinging to certain things because you’re afraid to change (while everyone else is moving ahead), or making good choices that build on your strengths and the qualities of your work. I see that you’re on Facebook, Twitter, LinkedIn, Google+, Pinterest, Instagram, YouTube, Tumblr and Goodreads. How do you manage your time on so many platforms? How much time do you spend each day on social media? I only show up consistently (usually daily) on 2 sites: Facebook and Twitter. I don’t have any quotas, however. My biggest rule is: Any time I tweet or post, it’s not to put myself in front of people. It’s to share something of value or to entertain. Period. So if I don’t have something for 48 hours, then you won’t see me. I’m not going to come up with a bunch of posts to fill in the gaps; we all have enough to look at already. I’m a casual user of Google+, Pinterest, Instagram, YouTube and Tumblr. For each of those platforms, I have very particular things I post, or certain triggers. E.g., on Pinterest, I mostly pin graphs and charts related to the media/publishing industry, whenever I come across one. That’s it—but it’s a very useful repository now. Tumblr is a kind of personal notebook, where I save quotes or clips from interesting articles. So it’s not so much about managing my time; over a period of months or years, I establish a particular benefit of each channel, something that fits my purposes. They’re not on my mind, and only come into play when I find things that fit my use of those networks. It wouldn’t be sustainable otherwise. Overall, I probably spend 1-2 hours per day on social media, if you aggregate all the little minutes here and there—most of that being Facebook and Twitter. Most of that is consumption time, or staying informed about what’s happening, not posting time. If you were to narrow your social media use to three networks, which three would you refuse to give up and why? It would be difficult for me to give up Twitter given my long-term investment there, and its importance in the writing and publishing community conversation. It would also be hard to give up Facebook, since that’s where a good deal of my audience engagement happens. Together, Twitter and Facebook make up most of the social media referral traffic to my website. However, organic search traffic to my site is far more important than social media right now; therefore, Google Plus is the third network I’d be reluctant to give up, since I think it will continue to have an impact on SEO. Do you think that certain social media networks are better suited to specific genres? For example, Facebook and Pinterest are ideal for romance writers. Tumblr and Twitter would be important for YA and NA writers. 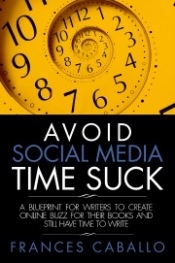 Nonfiction writers would need to have a presence on LinkedIn and Twitter. Or don’t you agree with the premise that certain channels are better for specific genres? I do think certain channels are better for specific genres or audiences, yes. Most importantly, the author needs to be comfortable and committed to using whatever networks they’re on. Hopefully there’s a good match between what the writer is capable of sustaining for the long haul, and where her audience is active and engaged. 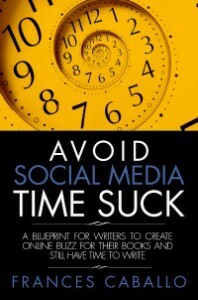 How do you suggest that writers juggle their writing time with their social media and marketing efforts in general? This seems to be the question on everyone’s mind these days, and I understand writers feel that they’re under tremendous pressure. So when I hear this question, what I hear is: how can I relieve the pressure? How can I alleviate any stress or anxiety I have about juggling these things? There is a very simple answer: Don’t take it all so seriously, and detach from the crazy-making activities. In a moment of silence, I bet you know what you should be doing, so acquire the discipline, structure, and tools to make it happen. For Indie authors interested in finding an agent or publisher, what do they need to have in place aside from a killer manuscript? It’s immensely helpful to point to a growing and engaged readership devoted to reading just about anything you publish. Be able to demonstrate your efforts to cultivate and nurture that readership. What marketing advice would you give a new writer just starting out? Get your website established, even if it’s just a shell, and begin improving it and getting better at honing your online brand, one day at a time. This is your home base for the entirety of your career. Get comfy. Visit Jane’s website to learn more about her. Increasingly, I find myself telling writers, “Facebook is tough.” Specifically, I am referring to Facebook pages. In a study by Group M Next, and reported at Social Media Today, Facebook brand pages (also called fan pages or author pages) have seen the penetration from organic posts (posts not supported by advertising) drop from 38% to as low as 9.62%. What this means that of the number of people who have liked your Facebook page, about 10% of them see your posts. This also means that if you want more of your fans to see your posts, you need to consistently provide great content and plan to have a Facebook advertising budget. You don’t need to budget thousands of dollars for your advertising, but you should plan on allocating at least $400 a year for those times when you promote certain items, such as the sale price on your book or webinar you will be teaching. Pulitzer prize-winning nonfiction writer Doris Kearns Goodwin has a huge fan base offline. I read her book No Ordinary Time about Eleanor and Franklin D. Roosevelt during World War II, and it was a dynamic and thoroughly researched masterpiece of nonfiction. She’s a regular commentator on news programs and is widely respected. In contrast, her Facebook page is disappointing. It appears to be managed by her publisher and is used primarily to promote her books and her appearances. In fact, the posts that I viewed were entirely promotion in nature. She receives few Likes or comments, and there wasn’t any engagement between the author and her fans that I could see. You might want to use this Facebook page as a guide to learning what not to do on your own Facebook page. Christopher W. Gortner has a Facebook page, but it’s his profile that rocks. He regularly posts a great mix of information, interacting with friends and readers, and sharing information about rescued animals, a topic dear to his heart. There’s no doubt that he manages the page himself. He responds to readers’ comments quickly and is fully engaged. When I met him a year ago, he recognized me from my Facebook comments and struck up a conversation with me. That’s how personal he is on his profile and in his life. He adores his readers, and they love him back. You may not be impressed by his Friends count (I don’t agree with that assessment but I’ve heard this criticism by others. ), but you will admire how he handles this profile. With 1.8 million Likes, the page is a great mix of fun, seasonal and personal posts. She does some marketing but in a fun way, such as showing a pint of beer with the number 50 on it or posting images of different covers for her books printed abroad. However, she doesn’t respond to comments. When she shared a video about a time lapse of a pregnancy, her fans shared it a staggering 17,699 times. She recently posted an image of the setting sun and the word “this ….” That post earned 143 shares and 13,137 Likes. If she would only respond to comments it would almost be perfect. Clearly, her fans don’t seem to mind. Nina Amir includes a mix of business with fun videos, posts on Jewish holidays, inspirational quotes, and photos from the conferences where she speaks. It’s a great mix, and her posts always receive comments and Likes and she quickly responds to them. You will learn a lot about Nina when you send her a friend request; she’s not bashful about sharing her feelings, and when she does, her friends come out in force to cheer her on. Nina also has a Facebook page, Inspiration to Creation, where she shares inspirational messages, publishing tidbits, and information about her books. If you want to learn how to become profitable as a writer, you’ll want to Like her page and keep up with those posts. What I found interesting about this page (Okay, technically it’s not a writer’s page but it’s a page important to writers so I decided to include it.) that there are very few comments considering the number of page Likes, yet its information is widely shared. For example, a reference to an article titled Avoid Rip-Offs and Publishing Sharks received 120 Likes, 61 shares and four comments. A reference to an article about self-editing received 110 shares, 152 Likes and six comments. The best post I found shared a link to an article titled How to Write a Book: 3 Practical Tips. That post received 325 shares and 582 Likes, and generated 18 comments. This page is an excellent example of the power of sharing content that your demographic craves. When you anticipate the content your fans want to read, they will share it freely and widen your exposure. My only criticism is that whoever manages the page doesn’t respond to comments. A recent post by her was nearly the length of a short story yet her fans shared it a whopping 13,245 times and wrote more comments that I could easily count. It was a personal post about her feelings about turning 60. Even when she doesn’t post for a week or so, she apologizes, and those posts can receive more than a thousand shares, thousands of Likes and more comments than I’ve ever seen on a Facebook page. She is deeply personal, and when she does promote her books, her fans come out in force, liking and sharing her updates. If you want to learn how to connect with your demographic on a Facebook page, this is one of the Facebook pages you need to watch very closely. Mary Oliver has a simple banner image and a picture of herself that hasn’t been photo-shopped – something I appreciate. However, the Facebook page seems to exist for the sole purpose of promoting her books, readings and similar pursuits. She also shares sketched images of dogs and specials on her books. One recently published update simply included a link to a New York Times article about her and an image – no explanation whatsoever – yet it earned 1,877 Likes, 64 comments, and 492 shares. That’s impressive. The page appears to managed by someone other than the author who doesn’t take the time to engage with her fans, but they still love Mary. Jane Friedman is a megastar in the writing and publishing field. The former publisher at Writers Digest, she teaches digital publishing and online writing at the University of Virginia, is the web editor of the Virginia Quarterly Review and is the founder of Scratch Magazine, a digital quarterly about the “intersection of writing and money.” Her blog receives more than 60,000 unique visitors every month. Don’t be unimpressed by the number of Facebook friends. She is very connected; on Twitter she has 188,000 followers and follows just 286 users. On Facebook, Jane Friedman is actively involved with her profile, sharing information about her keynotes, articles she discovers, and even a more personal tidbit about her affinity for the Sherlock Holmes series on Masterpiece Theater. Her profile shows active engagement and plenty of shares, comments and Likes from her friends. I know that I’ll be keeping an eye on her profile to continue my learning curve about Facebook and marketing. Isabel Allende, a native of Chile, writes her posts in both English and Spanish. (Spanish-speaking social media users tend to outnumber other demographics.) She shares historical images, birthday messages to the likes of Gloria Steinem, and information about nonprofits. Her tribute to Flamenco artist Paco de Lucía following his death garnered 15,555 Likes, and 1,438 shares. Her page is at times deeply personal, celebratory, and gracious and expresses her commitment to social justice and causes that are important to her. Very little promotion appears here and her fans seem to like it that way. We can all learn from her. Post by Social Media Just for Writers. What recently dominated the self-publishing blogosphere was a post Susanne Lakin (aka CS Lakin) wr0te titled Genre versus Author Platform. Which Matters More? In the post, Susanne described her endeavor to write a genre novel under a pen name to test whether genre sold more books than an author platform would. To really appreciate the argument she poses, you need to read the post. That article was wildly popular and went viral among the writing circles. It even triggered a post in response by Jane Friedman, which is included below. The last post is my Kristen Lamb and is an important one for self-published authors to read. As always, this week’s roundup includes some social media tips as well. I hope you enjoy the selection below. The Future of Indie Publishing by Russell Blake: Prices have never been lower. Even big name new releases are being deeply discounted for the holidays, creating an environment for many authors where it’s a choice between the new Grisham, or their novel – not a tough one for readers, really. 14 Social Media Trends for 2014 by PR Daily, Adam Vincenzin: The importance of content in the constantly evolving era of social media will be the major social media push of 2014. This presentation captures the 14 of the trends resulting from this bigger movement. How To Optimize Your Images For Twitter’s In-Stream Photo Preview [INFOGRAPHIC] by MediaBistro: Twitter’s a much more visual place these days, thanks to the new in-stream image preview that expands photos in tweets without users having to click on them. How Much Does Author Platform Impact Sales? by Jane Friedman: As most authors know by now, there is a continuing debate over the importance and impact of one’s platform on book sales. In one of the more interesting experiments I’ve seen, author C.S. Lakin (@cslakin) decided to publish a genre novel (in a very particular genre, with a very particular formula) and release it under a pen name, to test whether a first-time author—one ostensibly without any platform—could sell a meaningful number of copies. Read her full post about it. Editor’s Note: Authors who choose self-publishing will find this post especially interesting. To Plan or to Plunge? A New Way of Looking at the Outlining Debate by Writer’s Digest: Few questions inherent to the writing process spark as much passionate back and forth among writers as this: To outline, or not to outline? In my years as editor of Writer’s Digest magazine, I’ve had a front-row seat as equally brilliant writers on opposite sides of the field have gone head to head (perhaps most memorably in the joint WD Interview I conducted with legendary thriller authors David Morrell, who likes to let his stories lead him, and Ken Follett, who writes the most detailed outlines I’ve ever heard of). Five Mistakes KILLING Self-Published Authors by Kristen Lamb: When I began writing I was SO SURE agents would be fighting over my manuscript. Yeah. But after almost thirteen years in the industry, a lot of bloody noses, and even more lessons in humility, I hope that these tips will help you. Self-publishing is AWESOME, and it’s a better fit for certain personalities and even content (um, social media? ), but we must be educated before we publish.